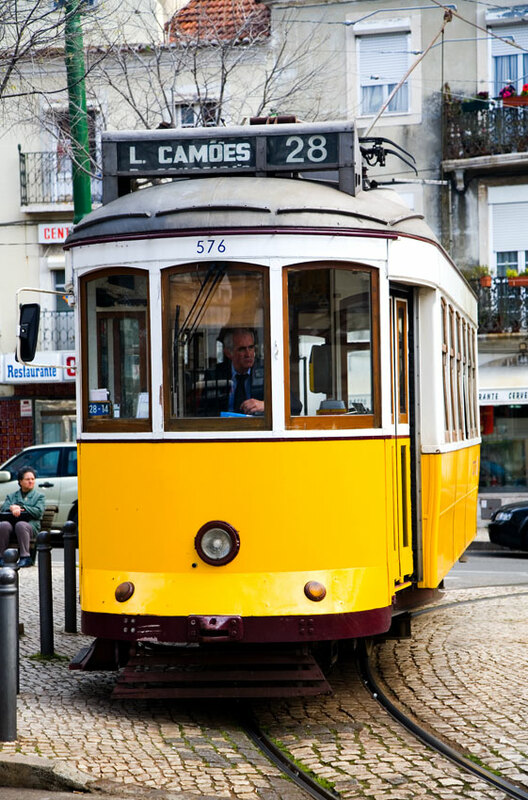 Lisbon's best known tram, the Number 28. The tram is popular as it takes in many of the highlights of Lisbon. Starting in Chiado the tram heads downtown to the Biaxa before beginning the steep climb through the historic Alfama to Graca.